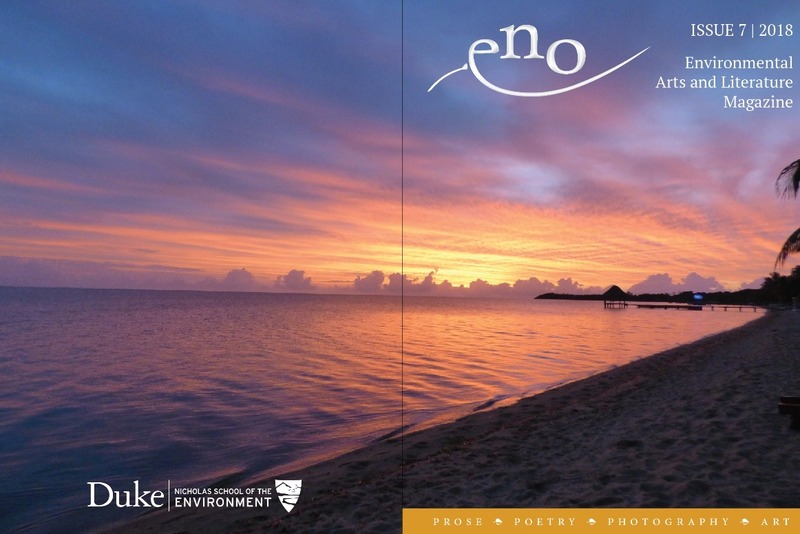 Eno is an annual print and online publication primarily run by graduate students at the Nicholas School of the Environment at Duke University. Through art, we connect to the natural environment and celebrate science. While we call ourselves a “magazine,” we think of Eno as it’s own creative work – a grand collaborative project. Eno's mission is to encourage, promote, and publish artistic forms of expression that inspire a deeper understanding and appreciation for the environment. We aim to inspire artists to create work celebrating nature and to encourage consumers to reflect and act in service of the environment. Eno serves as a lighthouse for intellectual and artistic creativity on behalf of the Nicholas School and Duke University. In order to print hard copies of our magazine this spring to circulate to the Duke and Durham communities, we need your help! Any amount is appreciated.